The UK has a snacking problem. Due to our busy and demanding lifestyles, it is much easier to grab a snack than it is to prepare something nutritious. Healthy vending machines have a vital role to play. By replacing traditional snacks with healthier alternatives, we can continue our snack obsession, guilt-free. An astounding 96% of us choose to snack between meals. And while our lifestyles are unlikely to change, what we put into our bodies should. Many of us grew up on three meals a day. When did snacking become such a vital part of our lives? The main reason is that our lifestyles have changed. Our days are busier, and time is tight, leaving little time to prepare food. It is this high demand of modern-day life, as well as the desire to get everything instantly, that drives the sales of snacks up. Now many of us view snacking as essential, a standard part of a diet. 58% of us even choose to add them to our weekly food shop. 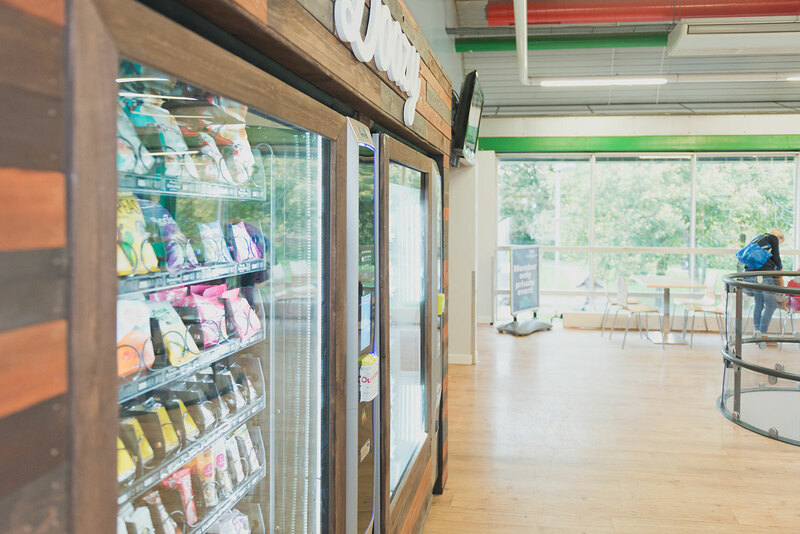 On top of lifestyle choices, the grab and go market is booming, now worth 20.1b with no signs of slowing down. The industry thrives from our busy lives. Consumers must access to food on the go, at all times. In the past, the main role of a snack was to keep our energy levels up in-between meals. Now, skipping meals in favour of a snack is becoming increasingly common. Almost 60% of people do this. The main reason people give for skipping meals is that snacking is easier. But also, there is a need to eat on the go because of time constraints. In 2017, a large consumer survey highlighted the huge demand for snacks across the country. The surprising results found that we are easily the largest snackers in Europe. Snacking is evident across all age groups but one generation stands out. Leading the love of snacking is the millennial generation. A massive 86% of them eat between mealtimes during the working day. This is in comparison to 60% of baby boomers. Research revealed that the change in behaviour among the younger generation was down to two factors. The first, the decreasing length of a lunch break, now often under half an hour. The second is the huge and growing availability of grab and go products. Traditional snacks are packed full of sugar and fat, yet many people still desire them. A snack is an easy way of giving our bodies a hunger fix. We are initially happy to eat the snack, but later feel guilty about the large number of calories they contain. A survey conducted by You Gov discovered that over half of British women snack twice a day but of those, 84% instantly feel guilty. Of course, snacks do not need to be full of sugar and fat. The healthy product industry has soared, now offering a wide range of healthy options. It has become a challenge for high sugar/fat products to appeal to consumers. This is most obvious among younger purchasers who are no longer enticed to sweet, sugary products. Instead, they opt for snacks which enhance their life in some way. Potentially because they are natural or provide a fruit or veg portion. Healthy has become a trend. The love for snacking is continuing, and companies have risen to meet the demand. Now, the door has opened for healthy vending. 10 years ago, this would have been a struggle. People expected to see their favourite chocolate bars and crisps. They would be disappointed with anything else. Even if a machine did offer healthier choices, the limited options meant just a row of these products. They had tough competition for the popular mars bars and walkers’ crisps. However, the landscape has changed. Consumers are shifting away from the sugar-filled brands. One survey discovered that 66% of people had tried healthier snacks and crisps. Of those, 84% said they would be happy to eat them again. It’s clear that although our snacking habits are at an all-time high, what we consume has changed. People still reach for fatty crisps and high sugar chocolate bars, but the consumption of healthier products has gained in popularity. This change can be seen in the growing popularity of popcorn. For example, the consumption of popcorn for women between the ages of 25 and 44 is up 45.7% from 2014. Along with being healthy, this wide range of newly introduced products has meant that they cater for all types of diet too. 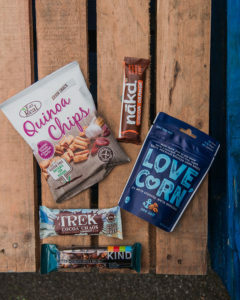 It is now possible to get gluten-free and vegan products. Some are even 1 portion of fruit and veg. By suiting all types of diet, we ensure that everyone has the option to snack healthy on the go. By using healthy vending machines to stock them, we can ensure the wide availability of the products. We are a nation of snackers, let’s make it healthier.